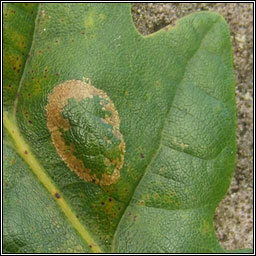 The most frequent oak-feeding Phyllonorycter, usually found on deciduous oaks. 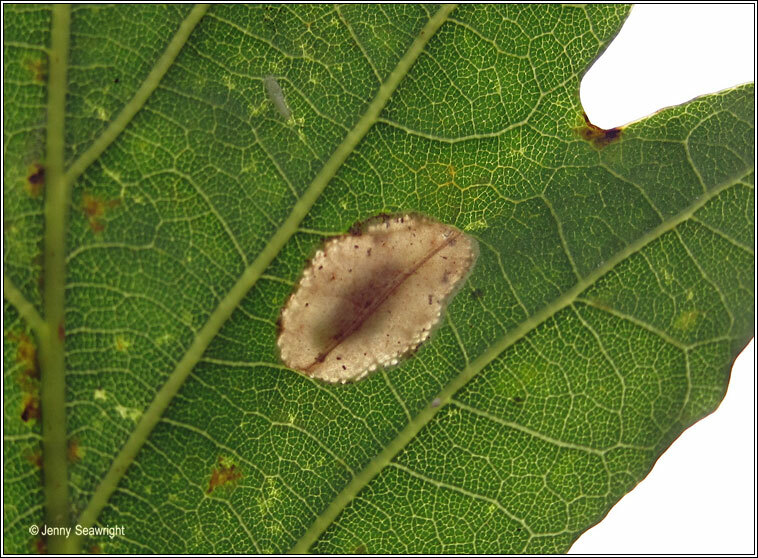 P. messaniella is mainly recorded from Holm Oak. 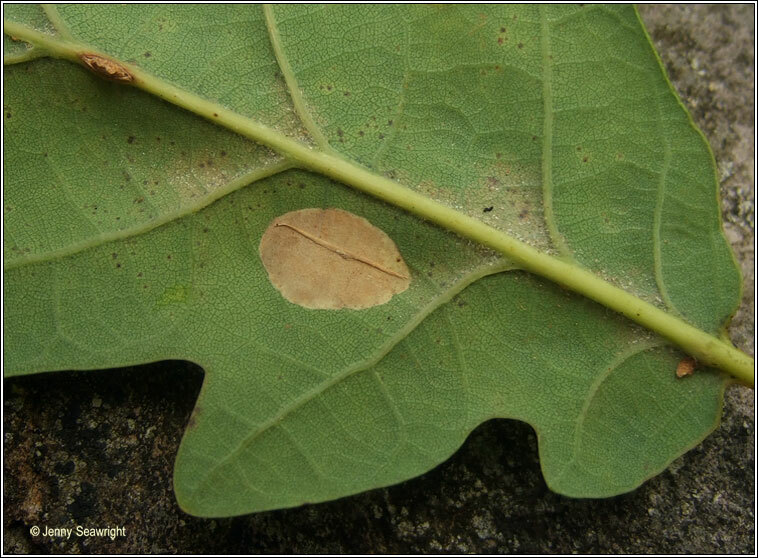 Leaf mine: Ballingeary, Co. Cork, SW Ireland. 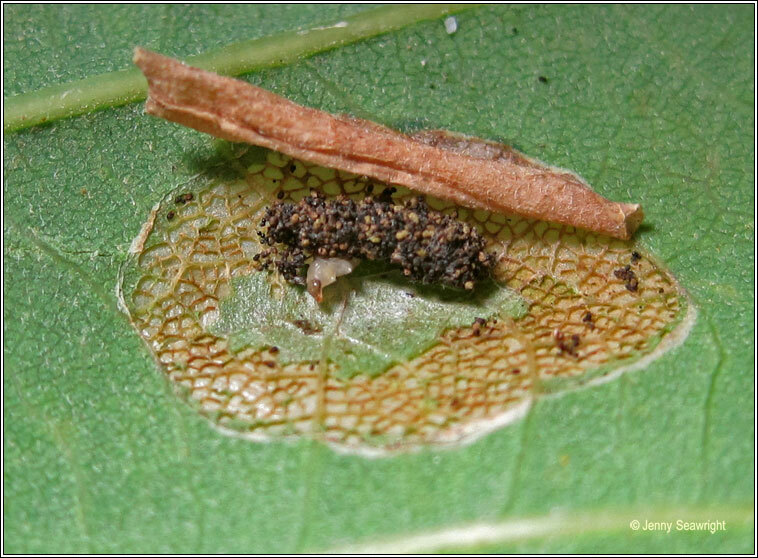 October 2010, mine with larva July 2011.